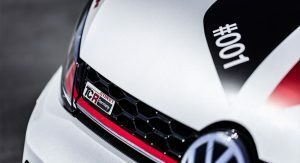 Worthersee 2018 is opening its gates today, so expect to see quite a few different products from the Volkswagen Group taking center stage, including the Golf GTI TCR. 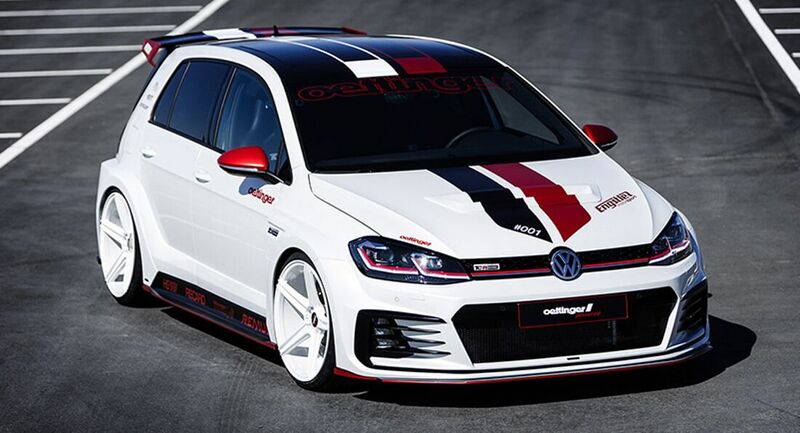 However, another VW Golf GTI on steroids will probably eclipse it: Oettinger’s own TCR Germany Street. 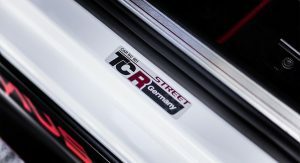 The show car packs more punch than a Golf R, and comes perilously close to the two mega hatch kings, the Audi RS3 Sportback and Mercedes-AMG A45. 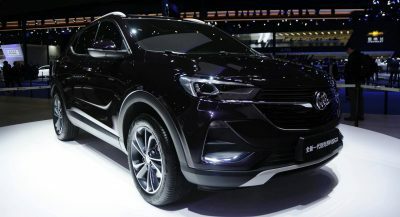 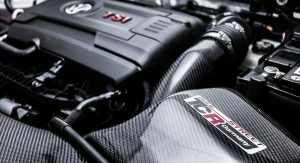 Its turbocharged 2.0-liter four-cylinder petrol engine has been tuned to deliver 360PS (355hp / 265kW) and 470Nm (347lb-ft) of torque. 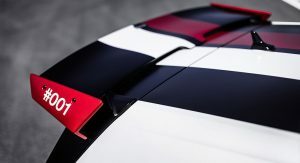 The tuner claims that it’s now capable of sprinting from 0 to 100km/h (62mph) in just a little over 5 seconds, with a top speed of 274km/h (170mph). 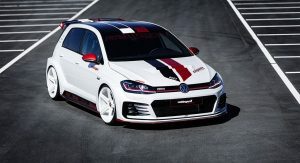 Strangely enough, this tuned Golf is actually slower than the Golf R, which takes as low as 4.6sec for the 0-100km/h (0-62mph) acceleration when using the dual-clutch gearbox. 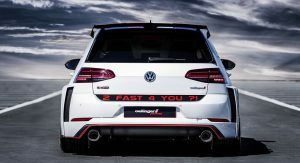 Either way, it’s not just about performance when it comes to the Oettinger’s latest hot hatch, because it has the looks to match its grunt, in the form of an aggressive body kit. 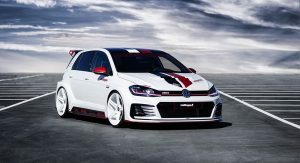 The bodywork is now 80mm (3.15in) wider than the stock Golf GTI, and features new air vents, roof-mounted spoiler, a mean diffuser and more. 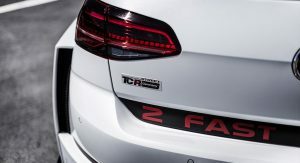 The Oettinger Golf GTI TCR Germany Street also gets some interesting decals, including the ‘2 Fast 4 You? 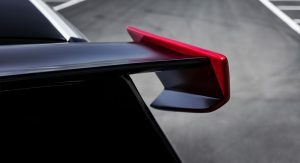 !’ added to the tailgate. 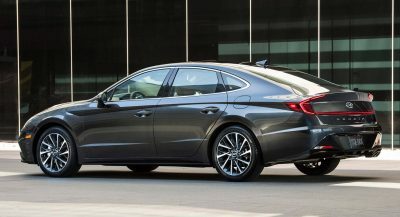 And to answer the tuner: No, it’s not too fast, as consumers already have faster hatchbacks to choose from, and they’re stock. 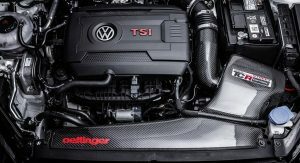 Oettinger is offering these upgrades for the 2013-2018 GTI and R versions of the current-gen Golf. 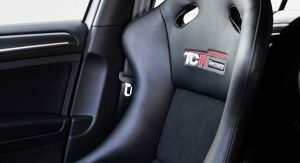 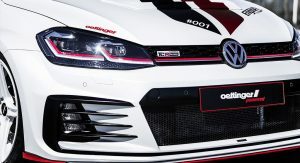 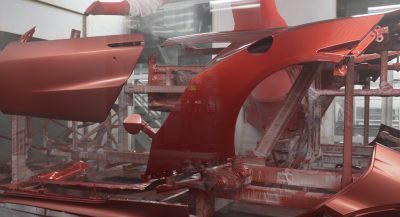 Those interested can place an order for a conversion kit or a complete vehicle, and they’ll have to contact Oettinger Sportsystems, Engstler Motorsport or exclusive dealers, starting from next month. 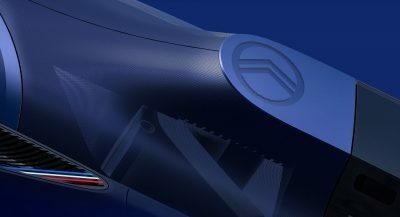 The big wheel is rather turn off for me, you know that it’s a modified car with those big wheels.